What was scheduled to be the final public forum to discuss downtown parking and pedestrian options at last Wednesday’s city council meeting turned to disagreement about the long-term vision and an extended timeline to make a decision. Key issues discussed in the report included an inadequate lane width on the north side of Main; maximize parking spaces; setting a maximum time allowed for parking; u-turns on Main; pedestrian path widths on sidewalks; and signage. Two other public forums on the topic have been held by the council in recent months. While there was agreement on some issues, such as a three-hour maximum parking limit and a minimum four-foot clear walking path on sidewalks, disagreement on the parking configuration and long-term vision for the character of downtown was quickly apparent. “I want to know if you guys are looking forward or are you looking for a solution now? Because looking forward, from what we’ve been talking about, is the possibility of a more walkabout town and you’re not looking towards that at all,” Stephania Wuesthoff inquired, indicating that she and others would like to see the downtown corridor be more walkable and pedestrian-friendly, including the possibility of eliminating parking on Main Ave.
Councilwoman Nicole Norvell explained some of the issues that make a “walkable” downtown difficult in Chewelah. “The problem is that the width of [Main Ave.] is not wide enough. It was designed as a small, two-lane highway and now we have large trucks going through and we have a ton of traffic. In order to look forward to the future, there has to be a major change. As in, millions of dollars of change and taking the truck traffic out. [That] means making the truck traffic go on a different street entirely which would take millions of dollars which, in the near future, we don’t have. That’s why we’re trying to come up with some sort of sensible solution for now in order to make it a bit safer,” Nicole Norvell said, but added that future grant funding might make it possible to create a new route for truck traffic. Some snickering from Councilmen Payton Norvell and John May interrupted Rappe’s comments and elicited some harsh criticism toward the council. “No, you can’t just sit there and laugh at me,” Rappe said about the councilmen’s conduct during the public forum. Continued interruption and arguing caused Mayor Dorothy Knauss to urge May to allow the public to comment. “John, let him talk,” Knauss demanded. May again expressed his disagreement with Rappe. “I will say 50 years from now, I don’t care what the rest of the world’s doing, unless something drastic happens in Chewelah, we aren’t getting rid of the cars. We’re too far away from everything to walk!” May argued. Again the mayor and others on the council asked May to allow the public time to give their input. “John, it’s a public forum, you have to let them talk,” Councilman Evan Schalock reminded him. “I’m not here to say cars are evil. I’m not saying that at all. I’m merely saying, if we want to see our community grow and we want to see dollars coming into our town and we want to see other businesses come in, we have to create an area where that can be fostered. To do that, we have to start thinking outside the box. When we look elsewhere, there are things that have been done and they’re seeing growth and they’re seeing vibrancy coming back where it’s been lost,” Rappe explained to the council. Schalock asked Rappe to talk about his background for the council. Rappe, who lives in Chewelah and is the District Planner for Tri County Economic Development District, said that he previously lived in Moab, Utah where he witnessed the effects of unchecked growth and lack of planning for the future. He said rapid growth in tourism there led to stresses on the city’s infrastructure and a loss of character and qualities that many local residents had valued about the area. “I’ve watched the bad side of growth and not thinking of those things beforehand,” he concluded. Discussion ensued about several different options including changing all parking on Main to parallel to allow for a narrower street and wider sidewalks; or changing 2nd, 3rd and 4th to one-way streets with angle parking between Clay and King Avenues. Councilwoman Norvell offered to take a group of councilmembers and interested citizens on a walk around downtown to see the current situation and discuss the one-way traffic options for that area. “Honestly, it may not happen today and it may not happen tomorrow, but please don’t lose that energy guys. That’s a cool idea,” Schalock said in praising Rappe and Wuesthoff for their thoughts. “I know you talked about making a decision in May, but I think this is important enough, let’s take our time and do it right. Let’s look at some of these options,” Knauss suggested. By the end of the discussion, it was decided to continue the debate and allow more public input at the council meeting in May. A final decision will be made at a later time. The city’s planning consultant made a presentation to the council regarding the required update to its comprehensive plan. The comprehensive plan outlines values and a vision for the city and then details goals and actions to accomplish that vision. A comprehensive plan for the city is required by the state’s growth management laws. 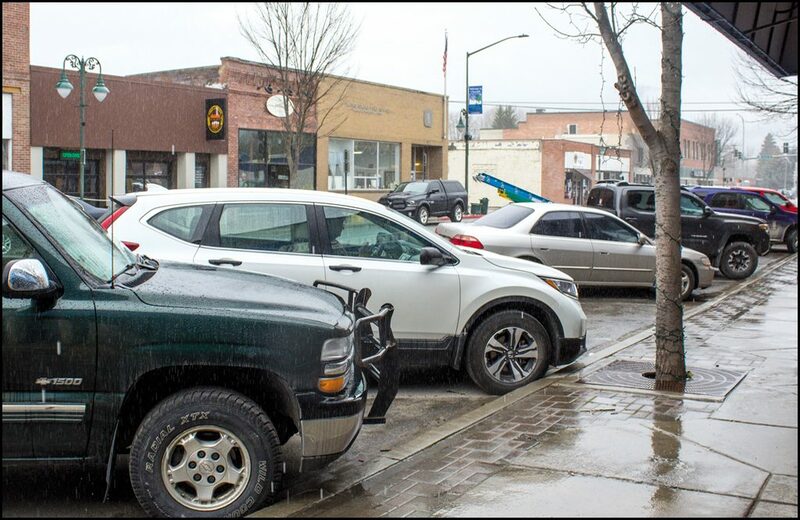 Chewelah was required to update its comprehensive plan by June 30, 2018, but was granted a two-year extension by provisions in the law for slow-growing cities. Future updates are required every eight years. Alicia Ayers of SCJ Alliance, the city’s contract planner, gave the council a timeline of the process that will allow the city to complete the plan prior to the June 30, 2020 deadline. She explained how the council, city staff, a focus group and the public will work together to build the components of the new plan. Ayers emphasized the importance of public participation to the plan and anticipates that there will be a community workshop in June of this year to review existing policy, get a look at the new policy framework and help set a vision for the city. Then, a community open house is expected in January 2020 where the public will have a chance to look at a draft plan and give feedback to the planners. Notices for the community events will be given by the city as soon as the dates are set. The next regular Chewelah City Council meetings are scheduled for Wednesday, April 17 and Wednesday, May 1, 6:30 p.m. at city hall.